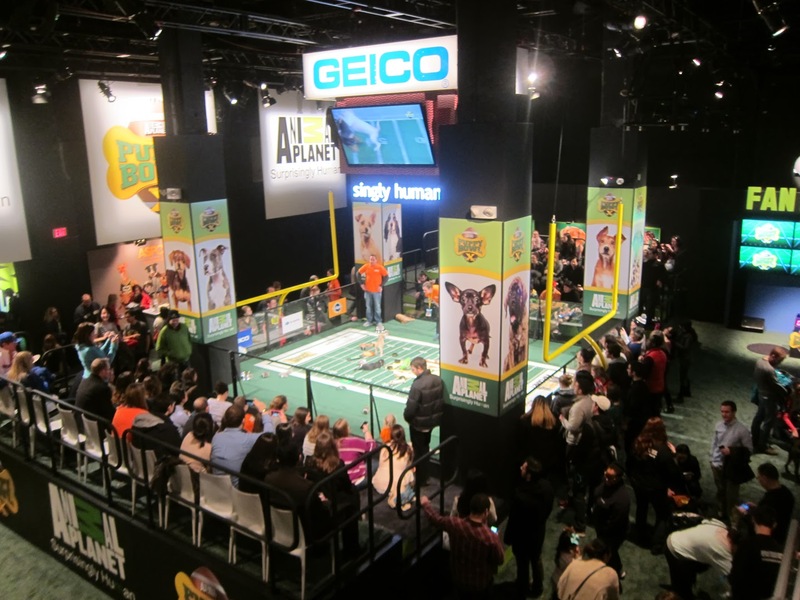 On Saturday, Kurt and I could not pass up the opportunity to witness the cuteness that is the Puppy Bowl (Animal Planet's attempt to compete with the Super Bowl). 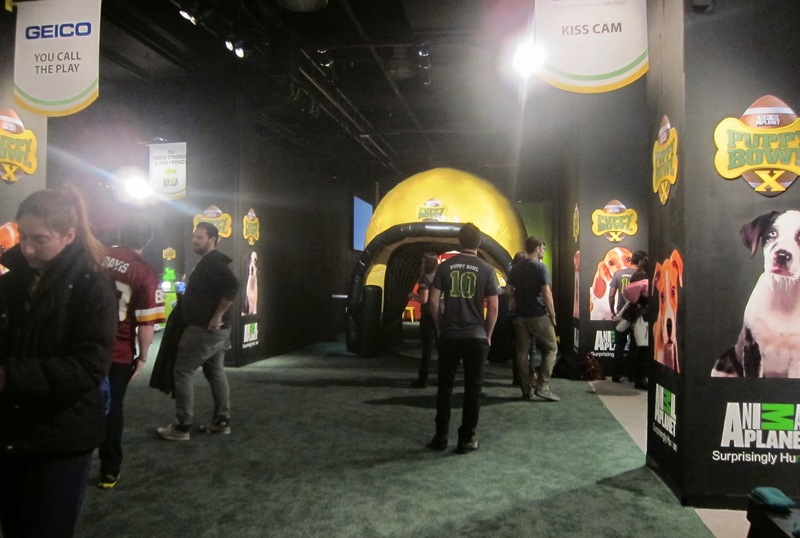 We braved the crowds of out of town football fans to see the exhibit at the Discovery Channel building in Times Square. The whole set up was hilariously over the top. The dogs were out-of-control adorable. 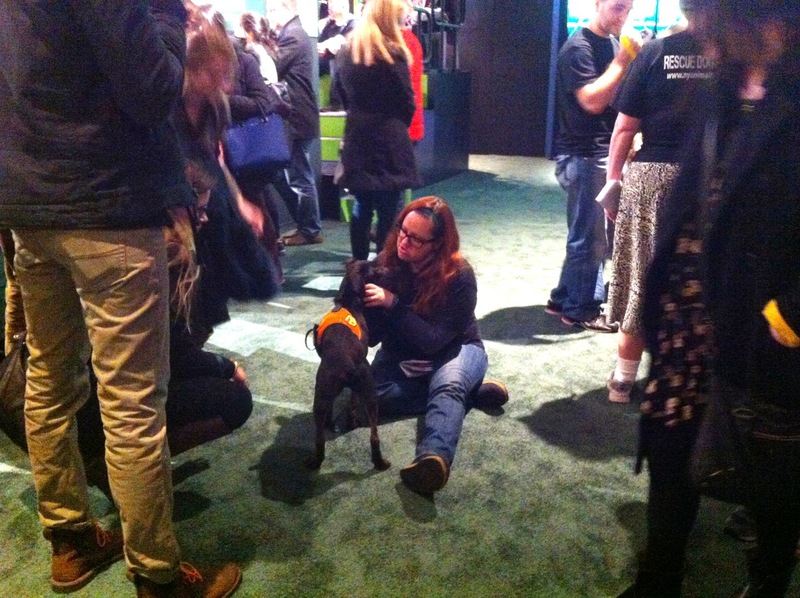 And we had a blast simply watching a bunch of puppies romp around in a ring. It really is a genius idea. 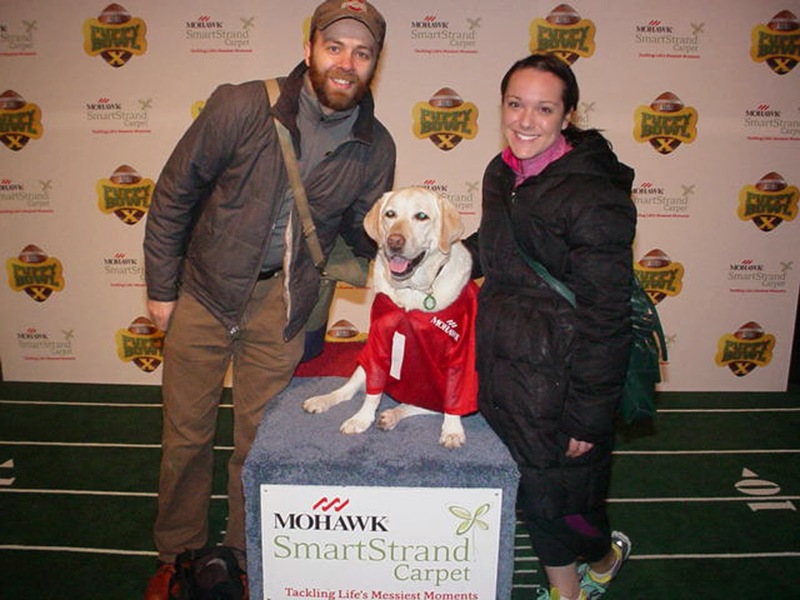 Kurt and I posed with the most well behaved lab ever (please pardon my post-workout 'glow'). He sat so still, I could have sworn he was stuffed. Sometimes the pups were sleepy and took naps. 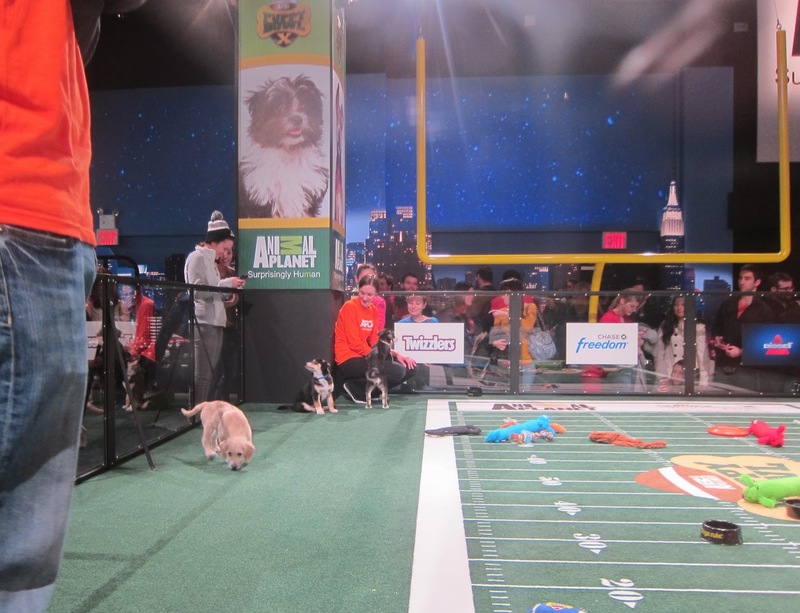 Other times they chewed on all the toys strewn about the 'practice field'. And sometimes they jumped all over their handlers for love. Sounds like the best job ever. 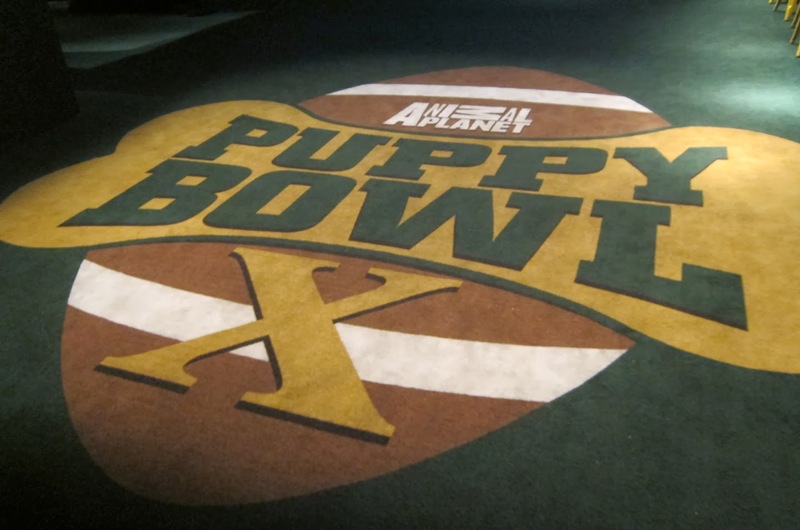 I might give up architecture and devote my life to future puppy bowls. 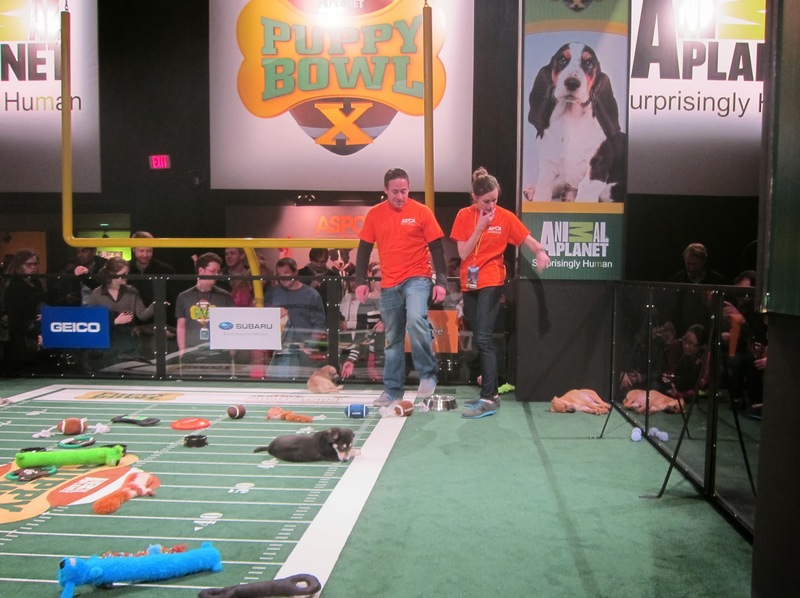 If the puppy bowl wasn't sweet enough to begin with, all the participating 'athletes' were up for adoption and the local ASPCA was on hand to get people matched up. It took some self control to not walk out with a new best friend. Instead, I just bought a t-shirt. 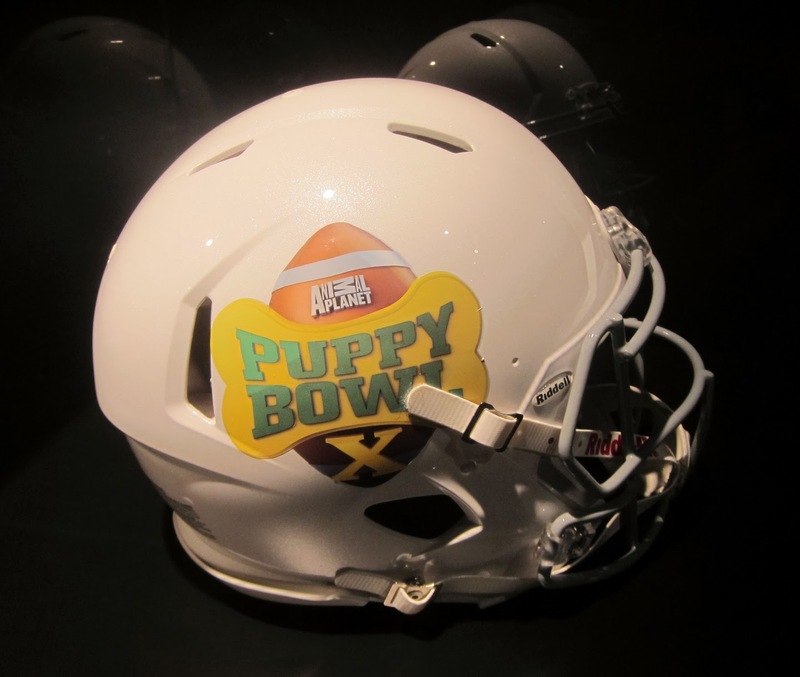 We don't have cable, so I haven't actually seen this year's Puppy Bowl, but I'm hoping to catch some highlights from the main event. 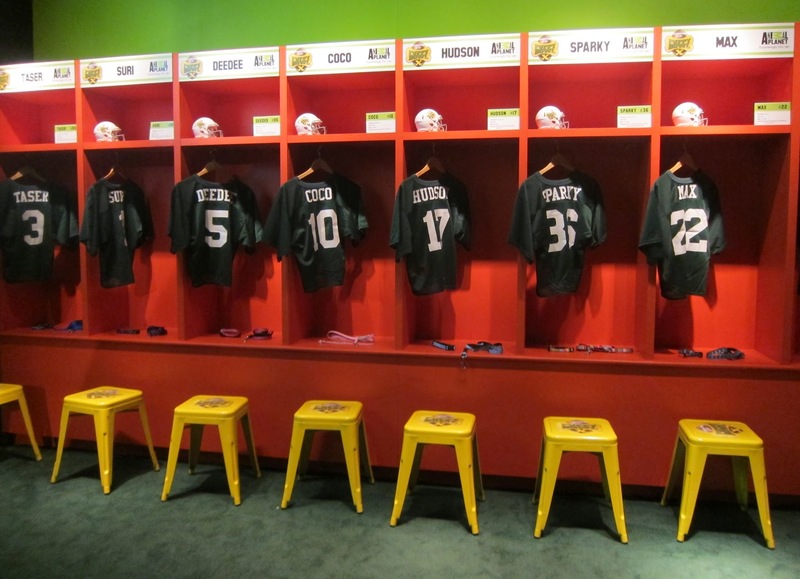 Whatever you watched, I hope you had a great Bowl weekend! so cute! 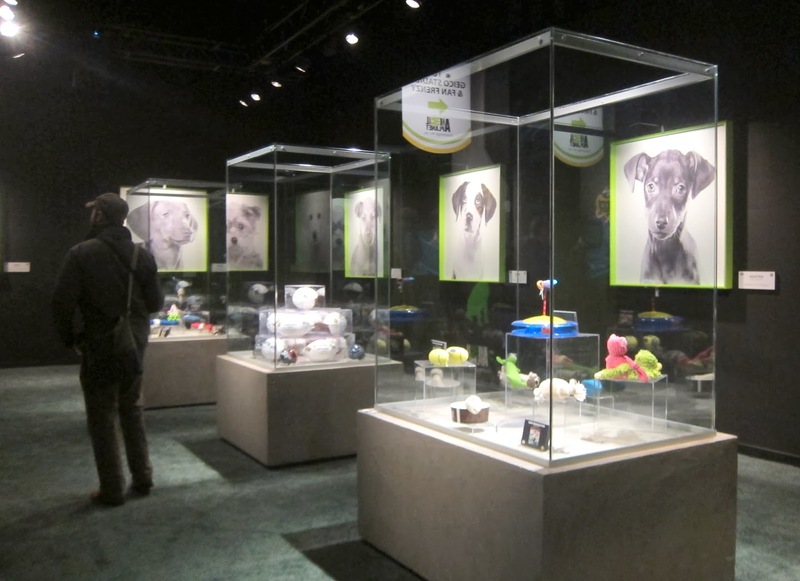 i had no idea this exhibit was in town i totally would have gone. 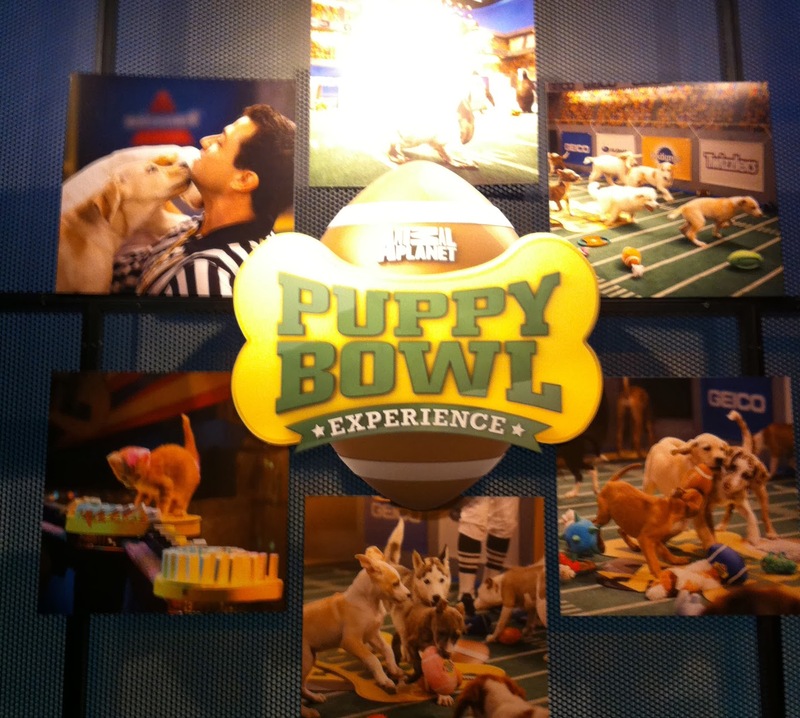 I definitely should have watched the puppy bowl instead of the real super bowl! It was the most boring game ever and the commercials weren't any better. I bet that was neat to see! 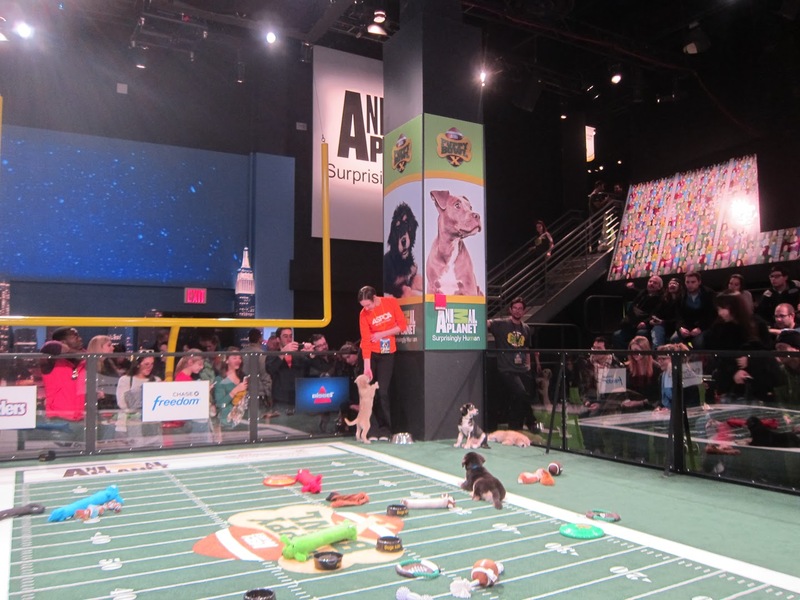 Puppy Bowl X was worth venturing into the hellscape of Times Square and Super Bowl Boulevard. Seriously though, it was pretty hilarious and I enjoyed it.